Praying for Las Vegas. Praying for this country. I hope everyone had a wonderful weekend. I was blessed to witness two wonderful people get married. Beautiful wedding. Today I am borrowing an idea from ItStartsWithCoffee. 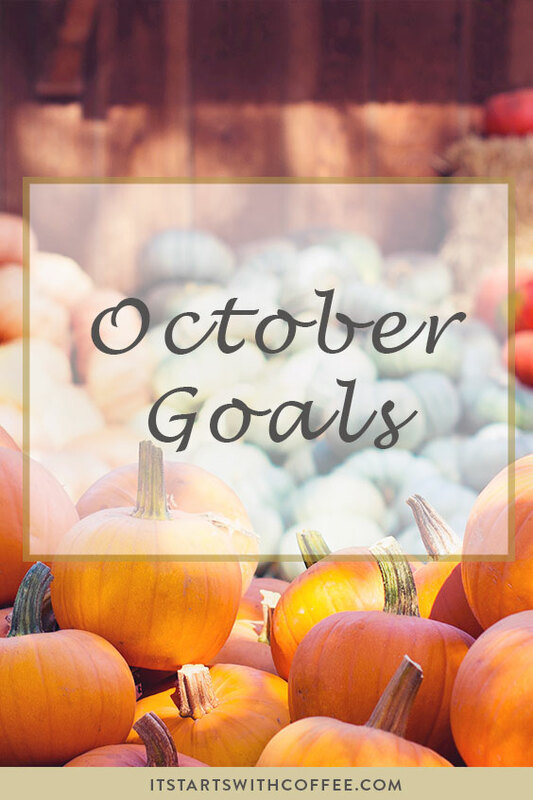 I wanted to actually get back to goal setting and not so many goals so that they are attainable. Meal plan/prep every week. For one, this will save me a ton of time during the week. Two, I will no doubt save some moolah! Read one personal development book and one good, easy read. Have family night twice this month. This can be hard as I typically only have my boys two weekends during the month. And those weekends they want to spend them with their friends and not with mom. I'm lame! Workout 4 days a week.